March has been an eventful month but not for many. Or at least not as many as last month. Here are some of the most important changes that you may or may not have noticed recently. That way we need to concentrate less on spacing our messages as it’s taken care of. You still might want to manually change this on certain blocks but it’s definitely helpful as a default setting. The new possibility is accessible via “Settings-Import” where all the user has to do is select a set of skills from any of the existing chatbots. This feature is still in beta and a brief insight into it was provided by the developer team. A really powerful integration by ActiveChat. Using dynamic elements in the bot with this integration is really easy and makes our lives easier. Think about unique coupon codes, quizzes, databases, easily manageable broadcasts and so much more. GS-SEARCH block now has a ”start row” parameter. It allows the user to search for multiple rows, starting the new search again. Common use case – add 1 to $_gs_row variable after the first search and then call GS-SEARCH again. GS-UPDATE block now can insert new rows in your table. If the user sets “Insert” switch to “ON”, it will shift all rows below “row” parameter down one row, and then add cell values to a new row. If “Insert” is set to “OFF”, cell values will be replaced with new ones. ActiveChat has quadrupled the number of available servers they have, providing better infrastructure for the increasing demand. The MC team is working on a new feature that is currently in beta. It will allow the user to see their whole bot on one canvas – some screenshots are already available at T&C and community groups. 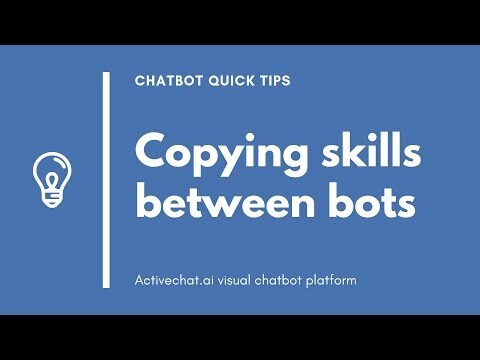 This function is a Bot Map, which assumedly is going to be Flow Builder for the entire bot – gathering Growth Tools, Flows, Keywords and everything else connected to the bot. This feature allows syncing these features from MoblieMonkey right to Facebook. That allows the user to omit the troublesome copying and pasting. Now the view button on quick question answers brings the user to the associated dialogue. This function provides the possibility to create tags from the attributes slide out. Moreover, it allows the owner of the bot to apply tags to contacts and stands as a new filter type in Audiences. Not only allowing the user to add messages to paused drip campaigns but also changing the dialogue on an existing message is what this new feature provides. No more waiting – Zapier Connections are now officially live for all the users. That was it for March, stay tuned for April. Did I miss anything significant?